Scientists have detected something that could be the first exomoon ever discovered. An exomoon is a moon orbiting a planet outside our solar system. Scientists have been attempting to catch glimpses of an exomoon before, but they were only able to detect hints of one before. Last year a team of researchers led by Columbia University astronomer Alex Teachey said they think they discovered a moon orbiting the planet Kepler-1625b, which is located 2.4 kiloparsecs (roughly 8,000 light-years) from our planet and surrounded by the constellation Cygnus. 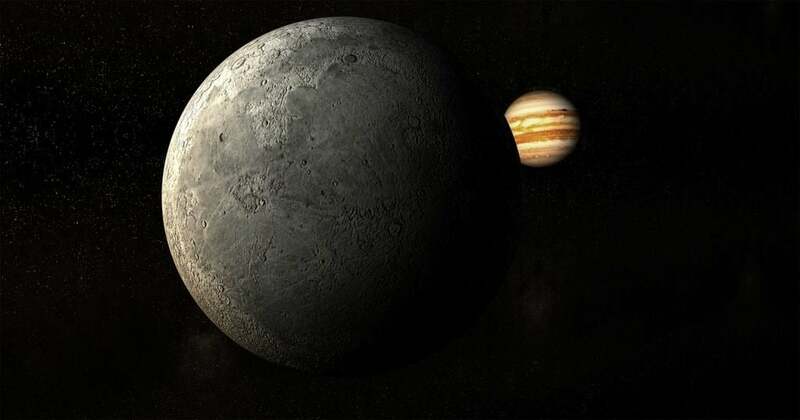 However, using the Hubble Space Telescope more recently, Teachey and his colleagues made more detailed observations, nearly confirming the existence of the first exomoon ever discovered. “We’re not cracking open champagne bottles just yet,” Teachey said, according to Nature. However, “Things look exciting, tantalizing, maybe compelling,” he added. Teachey and co-author David Kipping, an assistant professor of astronomy at Columbia, published their findings in the journal Science Advances on Oct. 3. They say the first exomoon is rather strange because of its larger size, which is comparable to the diameter of our solar system’s Neptune. Scientists have not discovered any moon that large among the 200 natural satellites observed in our solar system. To locate the first exomoon, the team looked at data from 284 planets previously discovered in wider orbits using the Kepler space telescope. Kepler 1625-b was the best candidate to have a moon, as they noticed some rather odd anomalies. The results from the Kepler space telescope were enough for the team to get some time using the Hubble Space Telescope. They watched the planet during its 19-hour transit. About 3.5 hours later, the telescope detected a decrease in the star’s brightness, which indicated that the exomoon likely passed by. However, more study will be needed to determine if astronomers have indeed discovered the first exomoon. “Unfortunately, the scheduled Hubble observations ended before the complete transit of the moon could be measured,” Kipping said. Using Hubble, they also detected that the planet entered transit 1.25 hours earlier than was predicted. That behavior is common with a planet and moon orbiting a common center of gravity, which causes the planet to wobble from its previously-expected location. A future mission focusing on the detection of the first exomoon will likely be performed using the James Webb Space Telescope, which is expected to launch in 2021. Perhaps it will enable astronomers to see the star well enough to detect another more accurate decrease in brightness. Unfortunately, the Kepler space telescope won’t assist the team in their future endeavors, as it is slowly running out of the fuel it needs to properly aim itself at the other world. However, it has still far exceeded its lifespan of four years and has continued to work despite all the issues it faced.